There is a doubt as to whether Mand is truly accepted as a Raga in the Hindustani system. If accepted as a Raga, it seems to be placed in the Bilawal Thaat. 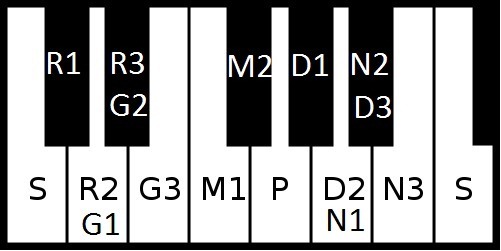 Some commentators see it as a sampoorna raga with low usage of R2 and N3 in the ascent. Others see it as a shadav-sampoorna raga. In the Carnatic System, it is mainly used for bhajans and tukkadas or short pieces sung towards the end of a concert. There are a few noteworthy compositions in this Raga; Janaki Manoharam by Mysore Vasudevachar, Ramanai Bhajithal by Papanasam Sivan, Arumo Aval by Kannan Iyengar and the marvellous Thillana by Lalgudi Jayaraman are all worth your attention.